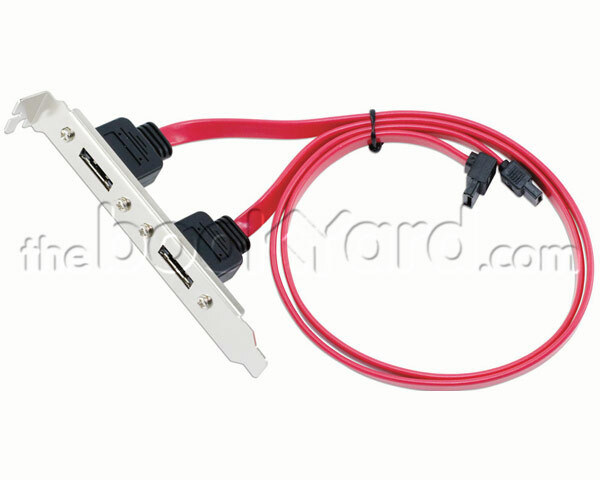 The NewerTech eSATA Extender Cable lets you utilise the two* extra SATA ports found on your Mac Pro's logic board. This first and only currently available Mac Pro eSATA port expansion cable has been specifically and thoroughly engineered to be a Perfect Fit Solution so it routes accurately and properly inside your Mac Pro case. Now you can run two external eSATA devices and expand your hard drive configuration up to a whopping six drives! *The 2009 Mac Pro comes equipped with two SATA ports, but one port is utilized by the factory installed optical drive connector. As a result, you will only be able to use one of these ports and one of the NewerTech eSATA Extender Cable connectors must be removed prior to installation. The installation of the product on this range differs and the cable tolerance is tighter. Please check the installation video here.